SINTEF was commissioned by the Norwegian Labour Inspection Authority (NLIA) to compile a report showing the estimated annual social cost of deaths, injuries, treatment at emergency medical centres and specialist healthcare providers, sickness leave, disability pensions and reduced quality of life. All work-related. The total came to NOK 30 billion. “63 per cent of the total costs came from years of life lost and reduced quality of life as a result of illness or injury. The direct costs of treatment, disability pensions and lost production amount to 37 per cent,” say Tarald Rohde and Karl-Gerhard Hem at SINTEF. Socio-economic assessment Since the NLIA is responsible for the working environment and health and safety, it also wanted to gain some basic knowledge about how much the actual social costs are, which will enable it to plan and prioritise preventive work in the future. The NLIA also wanted these social costs divided according to risk factors in the working environment. Do any organisational, chemical, biological, ergonomic or technical factors have a part to play? SINTEF was given the assignment in the summer of 2015 – and submitted its report on 1 March 2016. “We have also interviewed people and institutions working with medical statistics and the working environment,” adds Tarald Rohde. The researchers had to face numerous challenges on this assignment. Since there was no single, comprehensive register of illnesses or injuries acquired at work, they had to turn to individual surveys and evaluations. For example, the NLIA has a list of fatalities at work. NAV keeps records on sickness leave. The Norwegian Patient Register keeps a record of treatment costs. Where the register data was inadequate, the researchers had to perform probability calculations, and also had to rely on other research. Some of their most significant findings came from ongoing international work that is attempting to plug the information gaps. The WHO’s ‘Global burden of disease’ (GBD) was an excellent source of information about years of life lost and reduced quality of life. A total of 80 countries had submitted statistics to this study. Conservative estimate The researchers put together figures showing how many people are affected annually, how many years people have lived with injuries, and the number of treatments received – and arrived at the price tag of NOK 30 billion for deaths, illness and injuries. “The NLIA said from the very beginning that it did not want an artificially inflated price, so we believe that we have been conservative. Our estimate was lower than those in equivalent studies from other countries that we have looked at. For example, Finland arrived at a cost that was ten times larger than ours, but then we found out that they had included the costs of lost production and all reported illness – not just people who were absent from work because of illness,” says Tarald Rohde. Deaths following occupational injury Tables from the NLIA show that 182 deaths linked to work in land-based employment occurred between 2011 and 2014. That amounts to 45.5 cases per year. The construction industry tops the list at 9.75 deaths per year. Agriculture and forestry is next with 7 deaths, followed by transport and storage with 5.75 and industry with 4.75. But if you calculate deaths in relation to how many people work in a sector, agriculture comes out worst. Even though NOK 30 billion is a huge figure, it is distributed across numerous individual incidents. It is difficult to make any statements like ‘this is an area we will have to look into and evaluate’. The registers also contain information about the age of those who died – and thereby years of life lost. In the building and construction trade, workers tend to be almost exclusively young people, which puts the industry at the top of the list with 401.9 years of life lost as a result of deaths in the 2011–2014 period. Non-fatal occupational injuries are estimated to form around 12 per cent of all cases of injury, but it is difficult to be certain about this, as there are no complete national statistics in this area. “The tables show us that the most serious injuries took place in the building and construction trade, industry and agriculture, forestry and fisheries. The main injuries were impacts and blows as a result of falls or collisions with foreign objects,” says Hem. Indications The researchers emphasise that there is a certain amount of uncertainty attached to the findings presented in the report – quite simply because there are no good-quality primary statistics available for a number of areas. The uncertainty in the estimates is also due to the fact that there is no exact definition of what ‘work-related’ really is. For example, sick leave can be influenced by factors such as psychosocial influences at work, but there is little reliable data about this. “We have relied mainly on data taken from the GBD international database, which collects any figures on illness, occupational activity and injuries that are available on a national basis. For example, data for Norway may be provided by agencies such as the Norwegian Institute of Public Health,” Hem explains. Despite all the uncertainty, the analyses give an indication of the factors that are contributing to the highest costs within the individual cost categories. 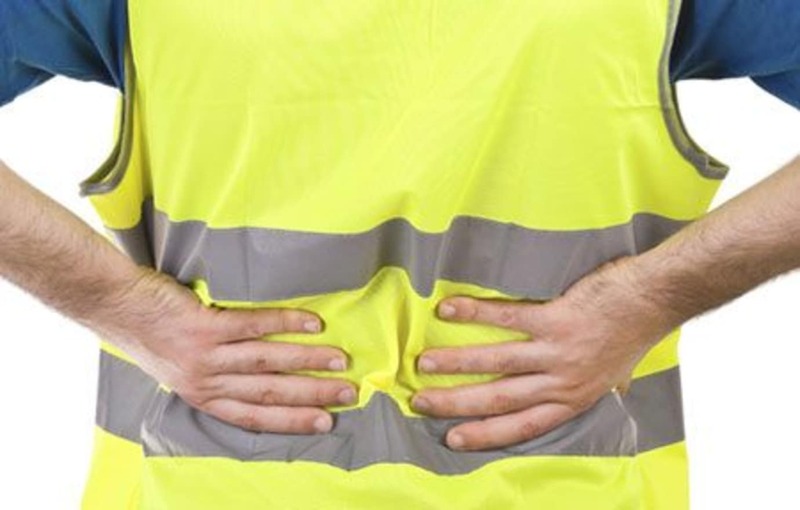 For example, back pain is the biggest contributor to reduced quality of life as a consequence of occupational injuries or illness, and crush injuries are the biggest risk factor in relation to deaths at work, which incur the greatest socio-economic costs. The information which emerges in the report and other similar information can be used as a basis for the NLIA’s risk-based activities. Director Finboe Svendsen of the NLIA says that it performs almost 18,000 inspections every year, and that there is a huge potential to improve preventive measures in Norwegian workplaces. “Many companies treat this seriously and work hard to safeguard the health and safety of their employees, while others unfortunately only have basic measures in place. It is important not only to prevent serious accidents, but also strains and exposure that over time can have serious consequences for workers’ health,” she says.